A: Shipping cost varies depending on product, location and selected couriers. The shipping cost is calculated and displayed on the checkout screen. Q: How long will it take for my purchased product to be delivered to me? 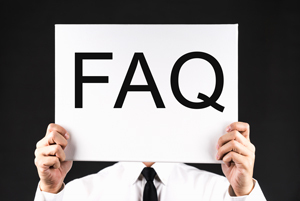 A: Orders are dispatched within 1 to 7 business days, delivery timeframe may vary from 2 to 10 business days, depending on your location. If you select pick up option, please allow at least two business days before you can collect the TV. Our staff will notify you through phone or email when your TV is ready for collection. Pick up is only available in Melbourne and the address is 178 Boundary Road Braeside VIC 3195. Q: How will my purchase be delivered? Can I track the delivery status of my purchase? Q: Do you ship to PO Box? A: We can only send remotes to PO Box. TVs and some larger audio items including but not limited to: Mini Hi Fi System H10 and 2.1 Soundbase with Bluetooth cannot be sent to a PO Box, it must be a residential or business address. Q: Can I pick up my purchase? A: Yes you can. SONIQ has an office located in Melbourne, Australia where we can arrange pickup for all our online customers. You can choose the option for 'Pick Up' in your shopping cart. Then after you complete your order, we'll contact you and let you know when your product is ready for pick up. Pick up is avalaible between Monday to Friday, 9:00 am to 5:00 pm at the Service Reception at 178 Boundary Road, Braeside Victoria 3195. Q: What payment method options are accepted? A: We accept Visa Card, Master Card and Paypal. Visa and Mastercard transactions are managed by eWay. SONIQ does not store your Credit Card details on any of our databases. Q: What is a refurbished product? A: Refurbished items mean there may be physical damages such as scratch and dent; these cosmetic defects do not affect the product’s functionality. They are fully tested by our technicians and are in full working condition. All parts are included. Q: Can I trust a refurbished product? A: We guarantee that our refurbished products are fully functional and tested by our amazing technicians before being sent out to our customers. We are so confident with our refurbished products that we offer our SONIQ Confidence 18 Months Warranty on all SONIQ refurbished products on this site. Q: Is it safe to purchase on SONIQ's online store? A: SONIQ is incredibly concerned with the safety of all our online customers. That is why we only use payment methods that are safe and secured. Our payment methods include the secure payment system eWay, and Paypal which is one of the safest online payment systems in the world. Q: Is there a showroom where I can view the product(s) and/or find out more about them? *Stock availability might vary in each JB Hi-Fi store. Q: Can I do bulk orders? A: SONIQ welcomes bulk orders. If you want to order a product with a quantity over 20, please contact us on 1300 765 663 and one of our SONIQ representatives can help find a great deal for you.